Good day to my Pudgie followers! So much as been happening. I have officially launched my very own small business! Its still very much in the fresh stage. 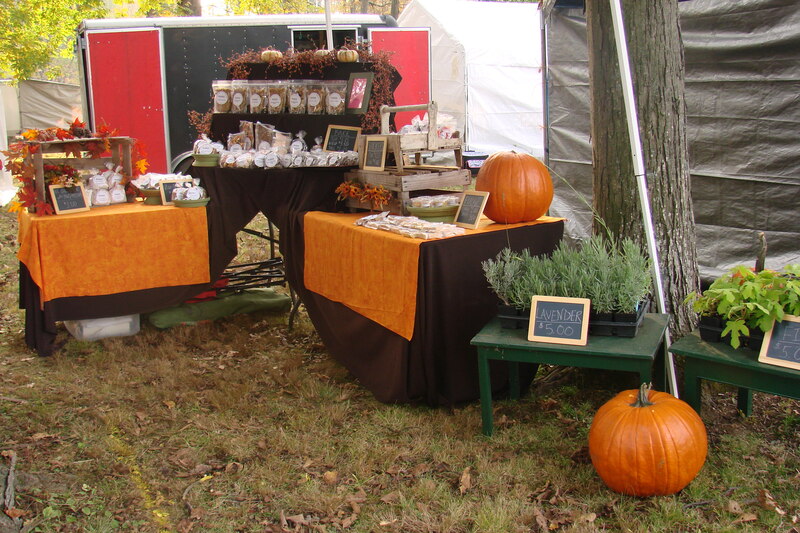 I’v been taking it to shows and selling has been unexpectedly great! I have created PUDDS. 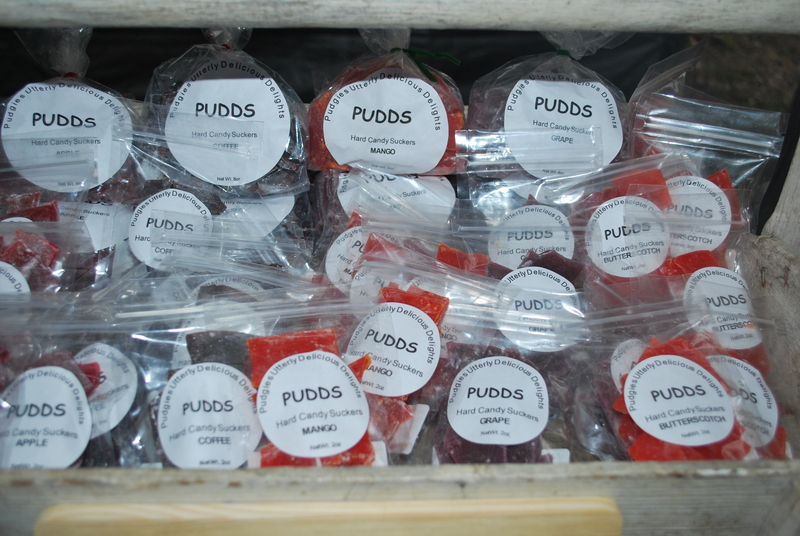 Aka…Pudgie’s Utterly Delicious Delights. I am working on building a web site so people can order my product. But until that happens I will be just doing shows. Here are some pictures of the recent shows I have done. Its quite a different experience. I worked really hard on the display. I did alot of research and what I read was, the display is 70% of your sales. In other words if you have a crappy display people are more inclined to not stop, where if you have a beautiful eye catching display people will be more prone to jump on in. One of the things PUDDS offers are hard candies. 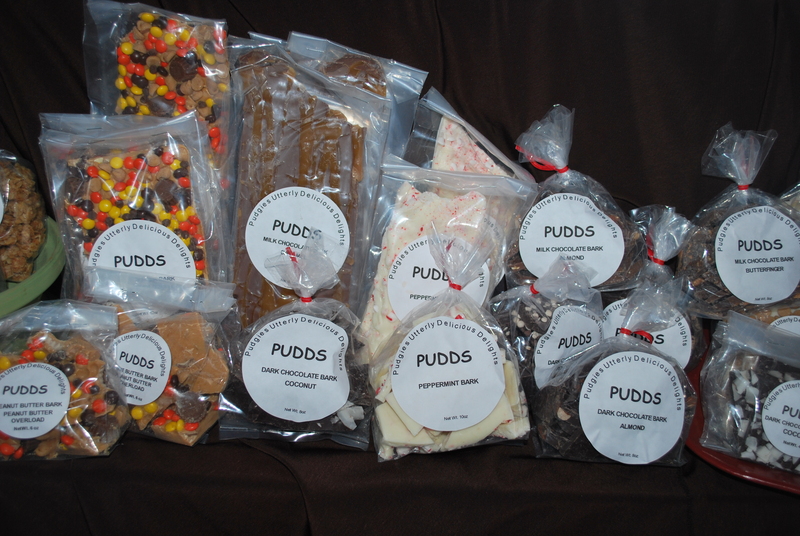 I orginally wanted to make PUDDS and old fashioned candy/food store. I have drifted from that. That is something I am working on. These hard candies are actually suppose to be called “sea glass”. Working on that too. Chocolate bark. Something I really enjoyed making. There are so many options here. This also still a work in progress. Getting the right thickness is key here, and difficult! GRANOLA!!! I absolutely love this stuff. I received some granola from a foodie penpal box not too long ago. I LOOOVVED it! I thought I could make some of that! I love my flavors. 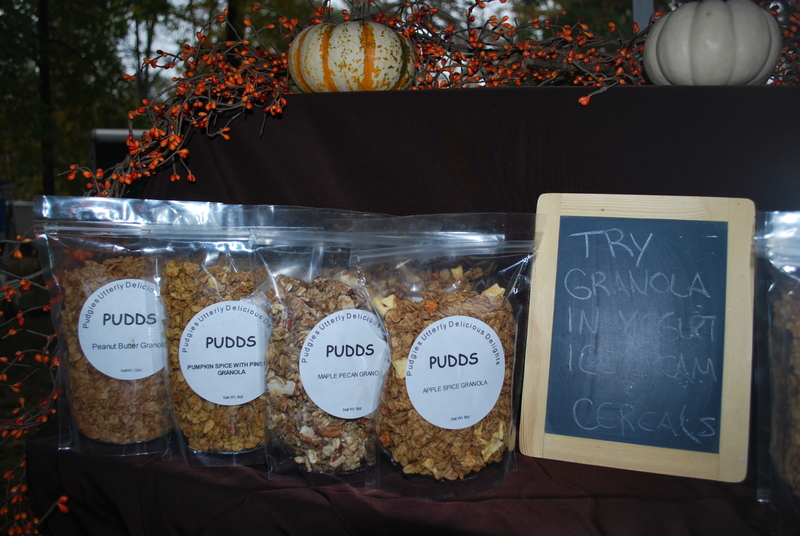 Apple pie Granola, Pumpkin pie, banana nut bread, peanut butter! All of it soooo good. 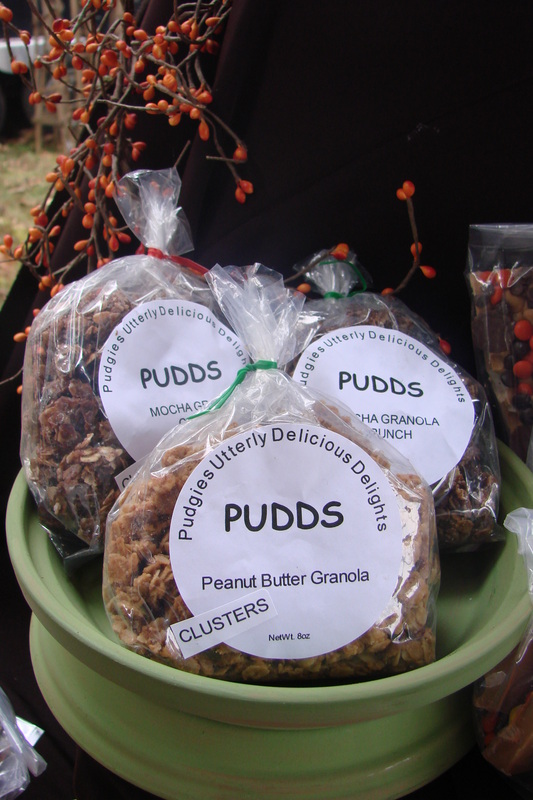 More granola in cluster form. Great as a munch-er. Caramellows!!! 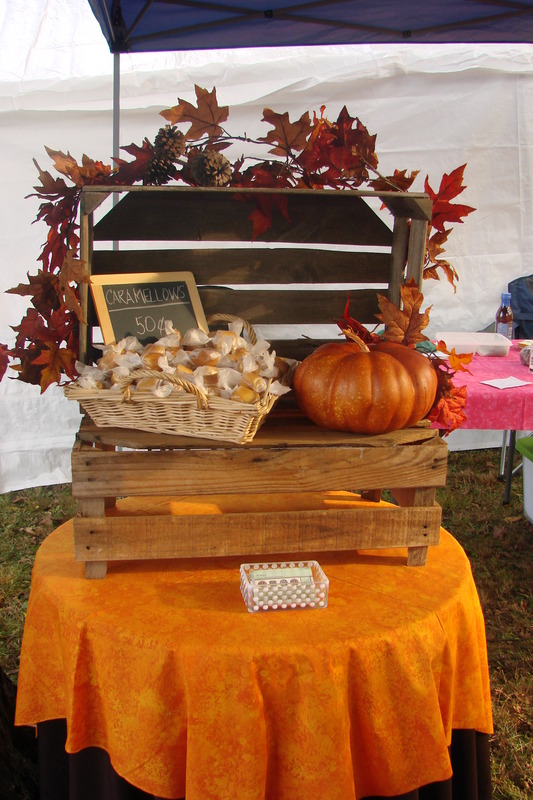 These were my biggest seller! 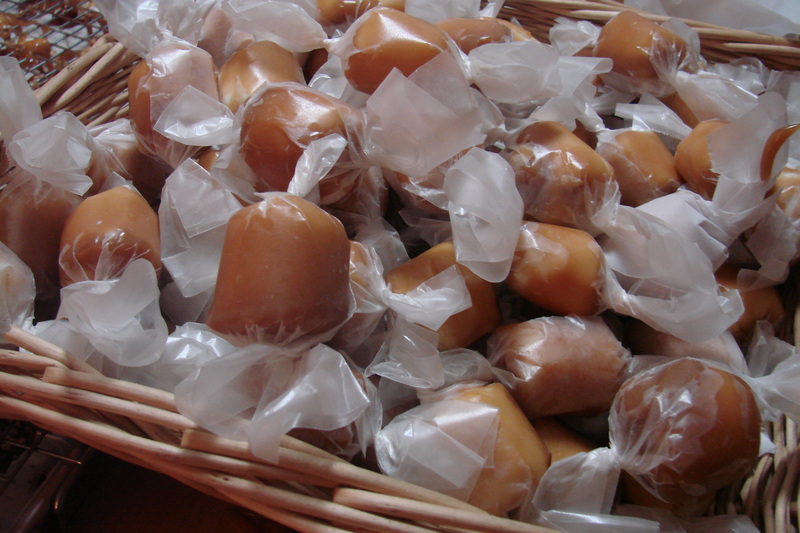 Sweet creamy marshmallow smothered in homemade caramel! Amazing! These are a piece of history. Back in the day when husbands were at work, the wives took care of the kids and cleaned house. But they had some time to make these and sell them at the local mom and pop shops to make a penny or two. 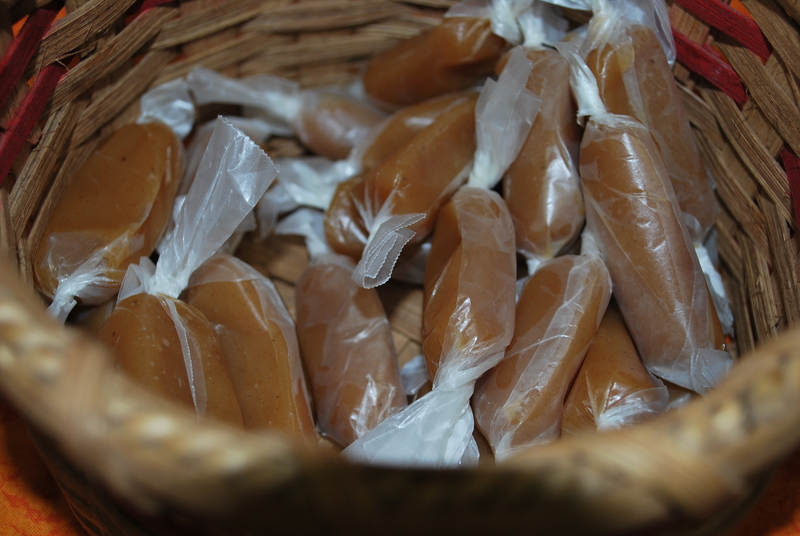 Apple cider caramels! Another big hit. Caramel must be the thing this season! These too are amazing. I already have a Christmas order in for these. So this is it. I will keep you posted on future accomplishments. You are currently browsing the archives for the PUDDS category.